This week’s SPaM features an article brought to you from Motorcycle Accident, a site/blog dedicated to public awareness on motorcycle safety as well as debunking the long held stereotype of the biker as “outlaw.” So to all you die-hard bikers and motorcycle enthusiasts out there I bring you Gina from Motorcycle Accident.org! Motorcycles have been around for decades, and like every other group or culture in life, motorcyclists are judged by society. Society‘s view of bikers has one similarity with all society’s other perceptions of groups/cultures: it is ridiculous. These are the words that describe how people perceive motorcyclists: criminals, gang members, outlaws, and thugs; and the list doesn’t stop there. Sons of Anarchy is only one example of how television and movies depict bikers. The mid-1900’s mark when motorcycle clubs became popular and the foundations for America’s perception of bikers were set. According to a TV Tropes article, the view of a typical motorcyclist is a, “big, burly, grizzled man wearing a leather jacket and riding a Harley.” Bikers are always thought of as belonging to a gang; supposedly bikers wear their gang colors, “a vest over their jacket that displays their gang name, insignia, and area of operation. Most gangs also have a system of patches that indicate members’ various accomplishments and duties.” Oh, but the ridiculousness doesn’t stop there. Motorcyclists are thought to be White Supremists who live at the tattoo parlor and love to party, drink, do drugs, and get into bar fights. Bikers are believed to live nomadic lifestyles, solely supported by their engaging in black market trades, like illegal drugs and weapons. Part of the perception is also that women are second to men in motorcycle gangs and “are called ‘mamas’” according to the TV Tropes article. This account, though humorous, isn’t far from the truth. The truth is that the vast majority of motorcyclists aren’t in gangs, and certainly aren’t criminals, outlaws, or thugs. In recent years, with the impacts our actions have on the environment becoming more clear and with increases in gas prices, motorcycles, which typically get over 50 miles to the gallon, have become a fuel-efficient and green way to travel; and people of all career types ride them, including doctors and lawyers, whose professions seem to indicate a conservative vehicle choice. Another perception of motorcyclists is that all they wear are leather products; it’s a fashion statement and it makes them look like they’re tough. People believe that leather is simply part of the motorcycle culture, and it feeds into the whole “gang” view on motorcyclists. The truth is, however, that wearing leather is not simply a fashion statement and that motorcyclists do not only wear leather; the point of motorcycle wear is to protect riders from the elements and in the event of an accident. Riders also wear Cordura, Kevlar, and ballistic nylon because these materials are durable. So there you have it. Being a motorcyclist does not entail being in a gang, nor wearing leather, packing a weapon, black market trades, or bar fights. What is does entail is fuel efficiency and a lessened impact on the environment; oh, and a really cool looking bike. Gina Williams is a guest post and article writer bringing to the public’s perception on motorcyclists. Gina also writes articles about motorcycle safety. Next week’s SPaM features blog darling Megan from VeryNormal! This entry was posted on November 28, 2011 by H.E. ELLIS. It was filed under Humor, SPaM and was tagged with blogs, Funny, Humor, interviews, life, motorcycles, news, spam, writing. Great Article!! I like this Blog! Great and informative blog, I especially love the perception part, as I know it is true. My brother and his wife are avid motorcyclists, having traveled not only across our country, but yours as well. He is a pharmacist, and she is a lifeguard, so they are as far as you can get from outlaws or fighters, but they do wear cow. I sent them a link to your newest SpaM site, as they both love anything motorcycle. It’s funny how that works. Every year I go to Laconia, NH for bike week and there are very few Hells Angel’s types there. Most are people I see around me everyday. That and Harleys are pretty cool. I agree completely about the minority defining a group. I once knew this Army dude who was all cranky….and political…and ranty…. I just wish more bikers were like those guys from Tron…always trying to cut each other off in traffic and run them into their ginormorous awesome trails of energy. That, at least, would spice up the morning commute. And all those red and blue zippy lines they leave behind would look totally awesome. Another good SPaM post. I tend to think of middle aged, yuppie weekend riders when I hear the word motorcyclist, especially when I hear the words Harley Davidson in the same sentence. I agree, mostly because they’re the only demographic that can afford them. My father-in-law’s Harley cost more than any car I own. Harleys ain’t bad, but Beemers are the shizzle. Oh man yes they are! New Hampshire is voting to make that our new state motto as we speak. I think the lesson here is that a vehicle is only as safe as the driver. I hope your Uncle is ok now, but as long as you’re cautious you’ve got nothing to fear in driving. Ahaha he is fine 😛 I have a lot to fear… have you seen my car? its like driving a mouse ahaha!! Look up images of a 1999 Jeep Sahara and you’ll see what I drive! Motorcycles and promiscuous men are both great–I just don’t want my daughter riding one. My dad used to say the same thing to me when I was a kid. It’s probably why I grew up to marry one who had the other. What does your SPAM stand for? Shameless Promotion Monday. Basically, anyone who has a blog or book or something they’d like to promote is welcome to feature it here. 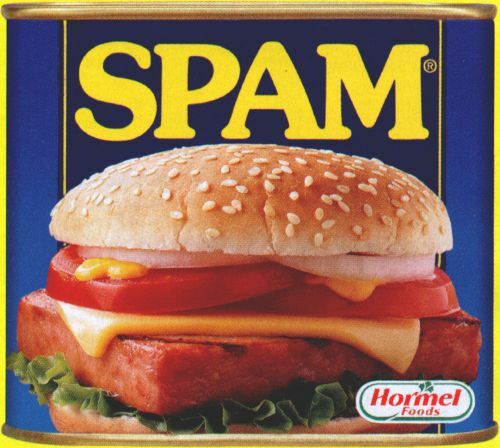 Click here and it will bring you to my first post explaining how SPaM works. You can also email me at heellisgoa@gmail if you’d like. I having been lookings for these information for many weeks, and this is most good post what I’m see ever! Anyway, yeah, I’ve got a leather jacket and I haven’t been on a motorcycle for decades – and never driven one, always the passenger. My father had a Honda Goldwing and drove it all around with his wife to various “Wingdings”, and he dressed like, you know, sandals-with-socks kinda thing. Sandals-with-socks? What a waste of a Goldwing! Well, not that exactly, but translated for motorcycle driving. I.E., not leather. Not even close. I must admit, motorcycles scare the hell out of me. I’m a total wus. Something about not being covered on all sides by steel really freakes me out. Crotch rockets will kill ya’ every time. What you need is an old Triumph or Vulcan with low center gravity and a great big motor. Put your wife on the back of one of those and she’ll thank you for it. Trust me. By the way, I added you to my blogroll.